Stress got you tense, anxious, depressive, and moody? 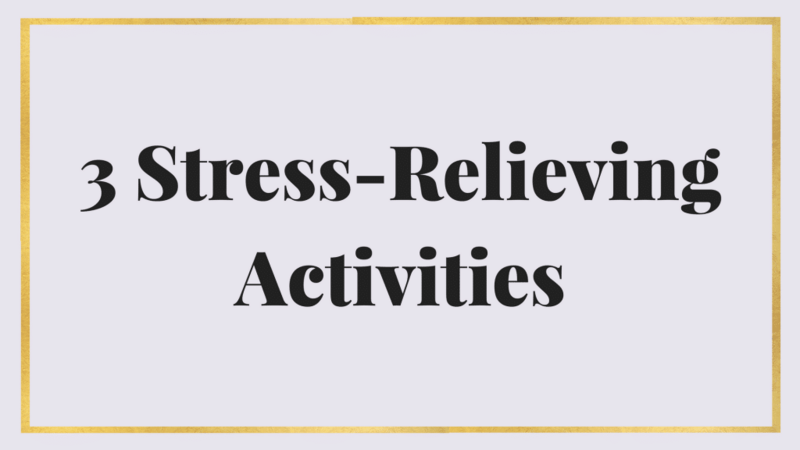 Try these 3 ways to reduce stress. I’ve recently been subjecting myself to an enormous amount of stress. And, as a result, I experienced a number of negative effects on my body. I wrote a little bit about some food remedies for stress, but it truly takes a mind-body-spirit approach to rectify it. Exercise is one of the best stress relievers, so don’t make the mistake of saying you’re too stressed to exercise. It releases feel good endorphins (hence why no one ever regrets going to the gym) and acts like a moving meditation (which is itself, a stress-buster). When you get in the zone and focus on your body, you easily forget the days worries. Aim to work out at least 3 days a week, even if only for 30 minutes. Personally, I try and get in 6 sweat sessions a week. Even better, do it in nature. Meditation is not some hippie, woo-woo stuff. It’s an ancient technique scientifically proven to reduce stress and anxiety, and even alter your brain for the better, boosting productivity, memory, and decision making. Sitting in silence for 10 minutes can seem like an eternity, so to start, instead opt to do one of these free guided meditations by Deepak Chopra. A hot epsom salt bath not only soothes tense or achey muscles, it allows your body to absorb magnesium, a critical nutrient for managing stress and mitigating depression. I love the tips Maria. I find epsom salt baths give me a better nights sleep as well.